Not everyone cares. I know, that sounds pretty harsh. But, recognizing this reality may be the key to a successful communications program. As a young PR professional, this was a lesson I learned the hard way. In a previous job for a non-profit, I was responsible for organizing and promoting a large community event. I also had to raise money to cover its costs, which was no small task. Over time, the holiday tradition had taken on various forms and drew hundreds of thousands of people to downtown. 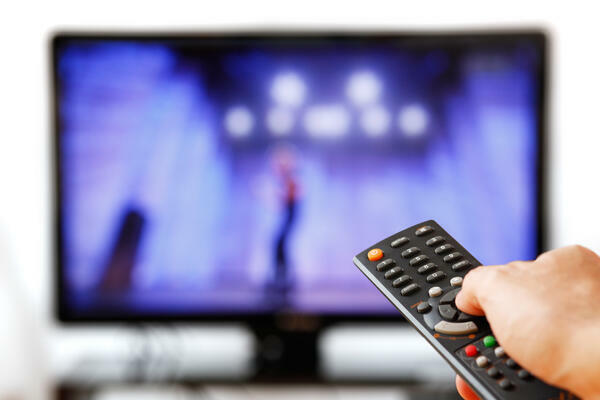 Many businesses relied on it for their annual revenue, whether they were stores, restaurants or media entities that sold sponsorships and air time. Eventually, some big corporate sponsors became confused about who was responsible for putting it on and gave their money to media outlets instead of the non-profit that had owned the event for nearly 50 years. This meant we had less money, yet the same public expectations for a grand event. There was internal talk about cancelling it altogether. One afternoon, I found a certificate tucked away in a file drawer. It was an official, government document. In a nutshell, I held proof that the event had been trademarked many years earlier and our non-profit owned it. This seemed like the answer to my dilemma – take back ownership so others couldn’t use it for their own financial gain. Essentially – save the event. I started with cease and desist letters from our attorney to the entities using the name and then sent much softer and kinder letters to area businesses, municipalities and other groups who held events with the same name. In it, we requested they pay a small fee to use the name. And, indicated we would donate all proceeds to a non-profit that helped children and families stay warm during the winter. This seemed like a good solution to a complicated problem. As the letters were received, people got angry. This was change, and for some, it was a major one. Reporters and producers called wanting to do stories. I spoke to everyone who called and went on the record – answering all of their questions. My thinking: if I explained the situation logically to everyone I talked to, they’d surely see my side. I had nothing to hide and I was only doing this to save the beloved event. The only problem? No one cared. Negative stories came out, we were called the Grinch and things got ugly. Thankfully, as with most things that involve change, it eventually died down and people reluctantly accepted the new reality. I, however, carried this with me for years. I failed and it hurt. Here’s the good news, though – because of that experience, I learned the valuable lesson of preparation and message consistency. In business, I can think of many situations that could mirror my own if not handled properly – corporate restructuring, benefits changes, product recalls, acquisitions, new brand, lawsuit, etc. With any change, comes the responsibility of communicating it to everyone it impacts. Are you prepared? What is the ultimate goal you’re striving for? Do you know your key messages? Have you anticipated questions? What will you say to the ones you can’t or don’t want to answer? Will your audience understand the WHY behind the change? Prepare everything in a detailed plan -- audience research, messages, questions/answers, roll-out cadence, timing, accountability. If this will be a major announcement, pull together a team several months in advance and meet regularly. Make sure your team members represent key functional areas within your organization. This is not a time to leave anyone out. Create a key message document. We use a “message pyramid.” This is a simple one-two-page document that organizes messages in a hierarchal fashion – overarching message at the top; three key main messages and details under each one. It is the roadmap used to prepare every communication item that goes out to the various audiences. It’s not a script that must be followed to a T; it’s more of a guide that ensures consistency across the board. Everyone works from the same core document. If it feels like you’re constantly repeating yourself or seeing the same messages everywhere, keep going – this is what consistency looks and feels like. Keep emotions in check. It’s easy to get caught up in the emotion of something, especially when it’s a project you’ve been involved with from start to finish. Ask for outside perspective from a colleague or trusted partner. What might seem logical to you, may not be received well by others. Remember my experience? Don’t do that. Get help from a communications consultant. When big change is happening, an external expert can provide perspective that you may not get from an internal audience close to the issue. A consultant can share their experiences from working with a variety of companies that may help you avoid common pitfalls. 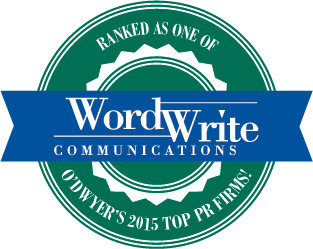 At WordWrite, we rely on our 3P process to help companies facing change or challenges. 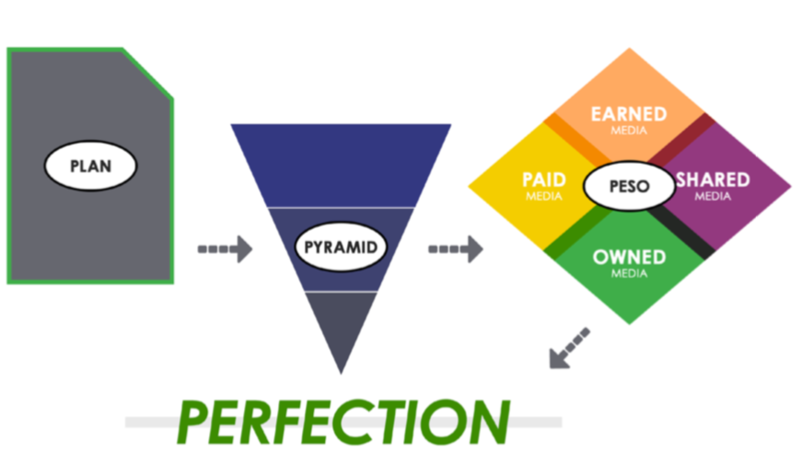 We create a plan, utilize a message pyramid and follow the industry-leading PESO model for sharing messages using the most appropriate platform for the target audience. If you’d like to know more about our process or companies we’ve helped, give us a shout. 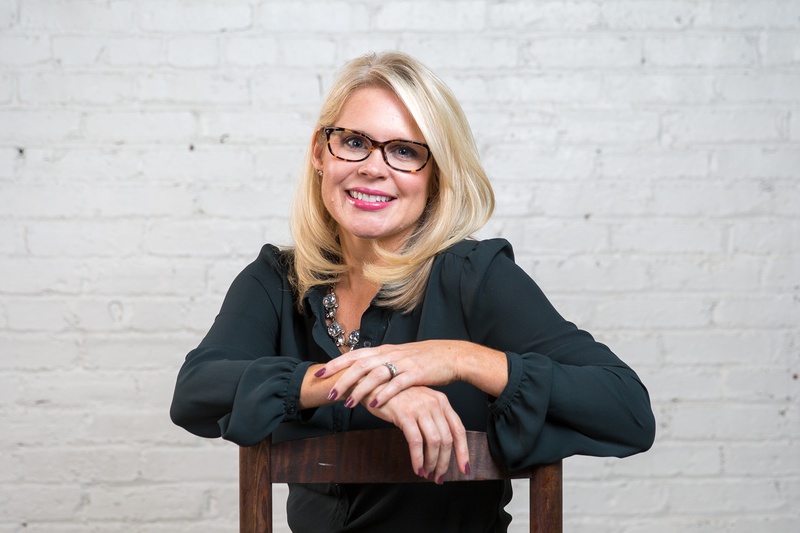 Hollie Geitner is Vice President, Culture and Brand Ambassador at WordWrite Communications. You can get in touch with her via email at hollie.geitner@wordwritepr.com or follow her on Twitter at @JustHollieG. A famous novelist embroiled in political debate. The history of the color pink. Singer Dionne Warwick’s rise to fame. A famous biographer who forged celebrity letters. A giant nut grown on an exotic island. The adorable two-year-old whose neighborhood learned sign language, so they could communicate with her. Stories are all around us. For 90 minutes each Sunday morning I settle in with my coffee and take in some of the most beautifully told stories from around the world. Sometimes I cry, other times I smile or feel anxious. But, without a doubt, I feel something after watching each and every segment. CBS Sunday Morning is a newsmagazine style television program that focuses on feature stories, as opposed to the hard news the network delivers during the week. It has aired weekly for 40 years as the broadcast version of the magazine supplement that appeared in Sunday newspapers like the New York Times Magazine. If numbers are any indication – and they certainly are in television – the show is a great success. According to AdWeek the program average 6.22 million viewers each week, nearly 2 million more than the 4.36 million for NBC’s Today show (the No. 1 weekday morning show). Originally anchored by Charles Kuralt, one of the show’s creators, the program has only had two other hosts — Charles Osgood and now, Jane Pauley. With the exception of Bob Schieffer and a few other substitute hosts, the show has maintained a consistency that sets it apart from every other news program. Add to this its dynamic roster of contributors — comedian Mo Rocca, writer, actor and political commentator Ben Stein, former foreign correspondent Martha Teichner and actress Nancy Giles — and I can’t think of a better way to start my week. As prolific storytellers, the contributors go deep inside a topic, showing unique angles, sharing little-known facts and capturing viewers’ attention in ways few others can. On its surface, pink is simply a color — a blend of red and white — most associated with the female gender. Did you know it was once a sign of wealth and status in France — worn by men, women and children, and used to decorate homes? According to Peter Guber, chairman and CEO of Mandalay Entertainment, a well-written and shared story can have a massive effect on an audience. Guber’s right - compelling stories move us. Think about the stories your older family members have shared with you. Each story is a moment or chapter in your family history that has shaped you in some way. Stories are memorable lessons, dreams and wishes come true, obstacles overcome and reasons for making a change. Stories aren’t just words on paper either. They are pictures and videos strung together, speeches delivered to a group or simply told one-on-one. As you go about your day, week, month and year, pay attention to people, places and things that were once under your radar. The security guard you pass each day on your way into the office; the dirt path behind your neighborhood; the broken sign hanging outside of an abandoned old store; the box of letters passed down by your grandparents; or that charming little town only 45 minutes from you. Those are where some of the best stories can be found. At WordWrite, we believe in the power of an authentic Story. Our true purpose and passion is to help companies uncover, develop and share their great untold stories. Without a story, there is little out there to help people decide whether they want to work with you, do business with you, be your neighbor or invest in you. Do you know your Story? If you’re interested in learning more about how to find your Story, either get in touch with us below or join us for Agility PR Solutions’ free webinar on Wednesday, February 27 at noon. You can register here. As we head into Super Bowl LIII on February 3, some commercials are already making waves on social channels. Side note: Remember when you had to wait until the actual night of the big game to see commercials? Well, those days are long gone. I decided to finally watch the Gillette ad (The Best Men Can Be) everyone has been talking about. If you haven’t heard about this one, maybe it’s because you’ve been busy dialing your rotary phone at home. For a laugh, check out this video of teenagers trying to figure out how to use one. I suppose I wasn’t prepared for my emotional reaction that followed. No, I didn’t cry or pound my fists. I just had that “FINALLY” moment where I wanted to stand up and salute the person/team who came up with the message concept and who had the courage to put it out there. It’s not an easy or simple message to convey. Perhaps you didn’t expect that reaction from me. Or, maybe you aren’t surprised at all. Here’s my break down on why the ad is so courageous and why we need more ads like it. 1, It’s timely and relevant. The explanation of the campaign on Gillette’s website sums it up pretty well. As a general rule, before I make any assumptions about a company based on what others are saying, I head to their website and social channels to understand their side. Thirty years ago, we launched our “The Best A Man Can Get” tagline. It’s time we acknowledge that brands, like ours , play a role in influencing culture. And as a company that encourages men to be their best, we have a responsibility to make sure we are promoting positive, attainable, inclusive and healthy versions of what it means to be a man. 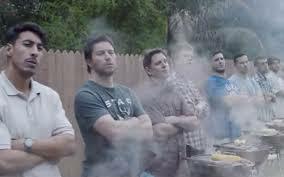 In the #metoo era, in which dozens of men in prominent roles (actors, producers, politicians, newsmen, sports stars) have been accused of sexual misconduct, Gillette is brave. They’ve shown they aren’t afraid to step in and help make a change for the better because they feel it’s their duty. For those who claim the video ad “de-masculinizes,” take a look back at some of the advertisements from only a few decades ago and how women were portrayed. Imagine how they must have felt. Such images of women and their messaging show the deep-rooted problem we have in society today, and why it’s time for companies like Gillette to do something different and meaningful. Sure, we’ve come a long way, but there is still much work to be done. Men play an integral role in this change. 2. It doesn’t aim to please everyone. Gillette knew taking such a stand was risky from a PR standpoint, but they also weren’t doing it to please everyone – they were on a mission. Gary Coombe, president of P&G Global Grooming, and quoted in the news release announcing the effort, has long been praised as a change maker and leader for his work in diversity and inclusion in the workplace. Real change is not possible without stepping outside of comfort zones and taking risks. Change makers seek out the difficult path and blaze the trail so others can follow. This is a good thing! 3. People buy your WHY. A razor is a razor, right? Sure, you can add some bells and whistles, but at the end of the day, all people care about is whether or not it works, right? Wrong. As with any product or service, people have options. LOTS of options. Take a scan of the razor aisle at your nearest Target or Walmart. Want cheap? It’s there. Fancy? Yep, you got it. Sleek? Sure, you can have that too. In truth, buying decisions are based on an emotional response. According to Simon Sinek, the best leaders start with WHY – their purpose, cause or belief. Their WHY guides them when making or selling something. It’s that WHY that sets them apart from the rest of the pack. As a leader in the industry, Gillette understands this and it’s probably the very reason they can claim six of the top 10 razors on the market, based on sales. I know some people will agree with me and perhaps many more won’t, but my goal was to point out why the video ad is smart marketing for Gillette. I believe now is the time for more companies to follow their lead. Maybe it’s not about parity in the workplace or raising young boys to be kind and empathetic men, but every company should understand and live their WHY. By doing so, they will attract the right customers – those who share their beliefs and values. As Gillette understands, no company can be all things to everyone, but they can be something very important to some. Choose your own WHY and see where it leads. Those who follow are your people. They are your customers. They are the ones who matter. Google Ads - Should I incorporate them in my marketing strategy? You’ve probably searched for a product using Google Search and immediately saw a high-ranking result with a small label reading “Ad.” It’s there for a reason — someone paid the popular search for it. Taking advantage of these types of ads may be useful for your marketing strategy, but properly implementing them is a little more complicated than you might think. Here is a brief summary explaining the difference between the two, courtesy of WordStream. The Google Search network reaches someone who is looking for a specific good or service. As a business or advertiser, you will need to build a list of industry keywords and phrases relevant to your specific service offerings. 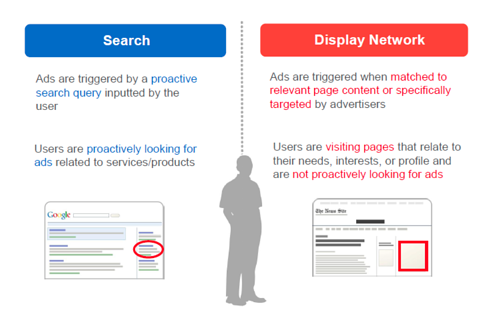 The Google Display network reaches millions of websites including YouTube videos, mobile sites and apps. You can choose where you want your ads to appear, whether on specific types of pages or websites that have partnered with Google. You can read more about placements here. The format types can be an image, video or rich media format. 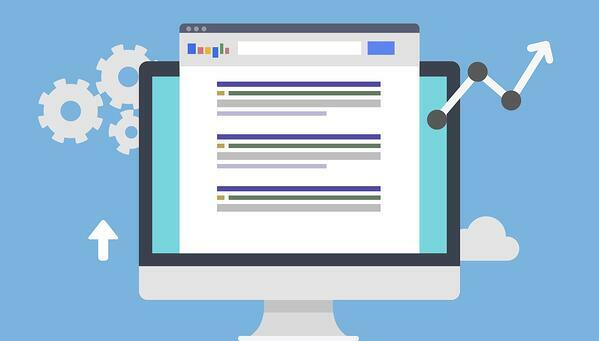 The cost of Google Ads varies based on the competition around your specific keywords, industry, location, quality of your advertising campaigns and time of year. This blog can be a helpful guide to get started. Both types of digital advertising use a pay-per-click system (PPC) in which there is a bidding process and an advertiser will determine how much they are willing to pay for someone to click on their ad depending on their goal. Ads are then ranked based on a value called Ad Rank, which is determined by your maximum cost-per-click (CPC) bid and Quality Score (Google’s rating of the quality and relevance of both your keywords and ads). The higher your quality score (1 – 10 scale) and bid amount, the better your ad positioning and likelihood that it will show up in the network you are targeting. Well, should I use them? It’s important to keep in mind that the Google Ads space can be extremely competitive based on your industry which will drive up the costs on single keywords, phrases and website targets. If you are strategic about your placements and willing to shift some of your marketing budget to do some A/B testing, you can incorporate this type of advertising to reach potential new leads or customers who are actively looking for the types of products or services you offer. 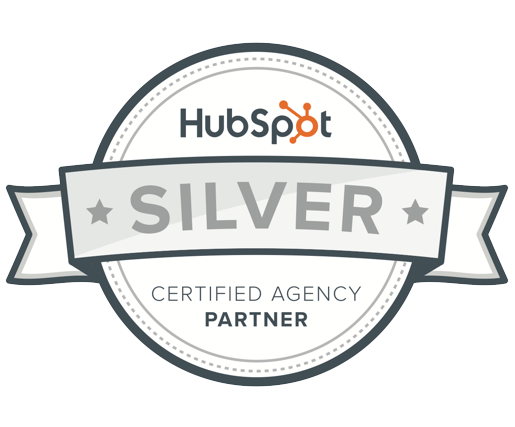 If you’d like to explore options for your digital marketing strategy, reach out to us for a free 30-minute consultation. 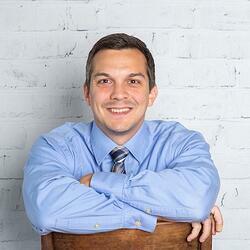 Noah Fleming is digital and inbound marketing specialist at WordWrite. You can reach him at noah.fleming@wordwritepr.com. The final days of the year feel like finishing a really great book. You can’t wait to see it all come together, yet you’re a bit sad the story is ending. Then, you pick up a new book and the excitement starts all over again. Just like we loved this 2018 story, we’re ecstatic about the one we’re beginning on January 1. We expect 2019 will be our best year yet – especially since we’re writing part of that story now. We’ll have LOTS of news to share in the coming weeks. As they say, it’s gonna be epic! And most importantly, we want to acknowledge all the great organizations and people who made this story possible – our clients. In their honor, we made a contribution to the Greater Pittsburgh Community Food Bank to help them be there for those in our community who need them most. Thank you! Here’s to a great 2019 of collaboration! As we head into the New Year, we want to make sharing your story part of our journey. Click below to learn how we can connect you with your audience using the ageless power of story. Hollie Geitner is Vice President, Client Services at WordWrite Communications. You can get in touch with her via email at hollie.geitner@wordwritepr.com or follow her on Twitter at @JustHollieG. Time-honored traditions and events are part of the fabric of our lives. They warm the heart, soothe the soul and give us something to treasure and be grateful for, especially during the holidays. As communicators, we look to harness those emotions in our writing and story pitching. 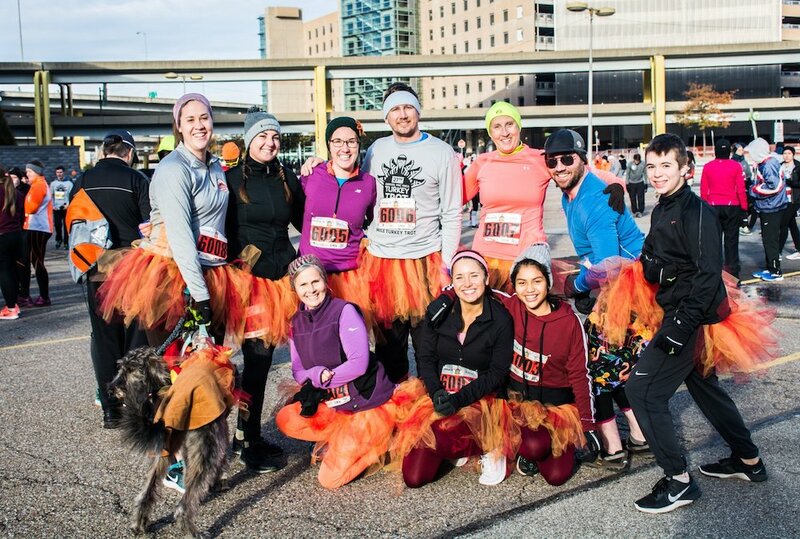 So, this year, when planning to share the details for one of the season’s most anticipated events, the YMCA Turkey Trot, we asked questions – not just the “when” and the “where” questions. We dug deeper – what is the motivation for the event? Who does it benefit? Why has the event been so successful after all these years? Who makes it happen and why? Can we meet them? After a series of discussions, a story emerged – one that spoke to the “why,” the “how” and for “whom.” The main character and hero of the story? Doug Williams. As a former addict who called Pittsburgh’s streets home, Doug understood what it’s like to go hungry for days at a time. He could recall the many times the path in front of him blurred or crumbled altogether as a result of poor life choices. After a stint in jail, Doug got his life back on track. Clean and sober, he realized his calling was to help others. Over the years, he was a cook and a caseworker for a variety of non-profits, eventually joining the YMCA of Greater Pittsburgh helping with outreach and providing services to those in need. In 2017, donations raised from the Turkey Trot contributed to meals for 24 Pittsburgh area families that Doug provided. His story, while not uncommon (homelessness, addiction and poverty continue to plague our communities) resonated with us because it’s authentic. It’s hopeful and it’s emotional. While we could share the logistics for the 28th annual event, we knew a human interest story would make the difference from it being just another yearly road race to burn calories (actually, the oldest footrace in the United States) to a race with the purpose of reducing food insecurity in Western Pennsylvania. Doug’s willingness to share his personal experience gave us this opportunity. And the result was extraordinary. Fifteen stories were published or aired over Thanksgiving week. Despite the blustery weather, the race was one of the most successful in the YMCA’s history. A well-written human-interest story breaks through the clutter and routine details to focus on the true meaning and intent of a recurring event – even one that has been around since 1896 (the year of the very first Turkey Trot in Buffalo, NY). Interested in learning how you can uncover your business' compelling human interest story? We can help. No matter where you live, if you watch national news, I’m sure you feel like we do – as if you are surrounded by the destruction of senseless acts of violence. Like the ground may suddenly collapse underneath your feet. Scared. Scared for what tomorrow will bring. Scared for what evil lurks behind every shadow. This weekend, our fears became reality. Evil wasn’t just lurking, it was living right in our own neighborhood – Pittsburgh. Armed and full of hatred, the shooter took the lives of 11 people worshiping at Tree of Life Synagogue in nearby Squirrel Hill. These were our mothers, fathers, grandparents, neighbors, brothers, sisters, friends and colleagues who started their day like most Saturdays. They had plans for that fall afternoon, for tomorrow and for next year. The shooter destroyed those plans. Their loved ones are left to pick up the pieces of this senseless tragedy. And, as a community, we’ll never understand how someone could hurt innocent, loving people. In the hours, days and weeks after tragedies, it’s difficult to sort through the myriad of emotions and especially challenging to determine how to properly respond. We struggle to find the right words, the right time and the right way to share those words. While with the best of intentions, we question what is appropriate and necessary vs. what might be mistaken for being opportunistic or self-serving. We’ve seen individuals and businesses over the years address shootings, attacks or natural disasters and suffer significant and swift backlash for appearing insensitive or as if they were trying to capitalize on others’ misfortune. Conversely, we have seen “helpers” emerge, bringing comfort and assistance to others during the darkest of times. What is the best way to respond when a tragedy happens? Is there a right or wrong way? A simple Google search will reveal a plethora of individuals or companies who’ve landed on the wrong side of the fence when attempting to publicly share their thoughts on national tragedies. We will refrain from getting into those specifics and instead, provide some perspective and tips. In the end, it is you and only you who knows deep down what feels right, however don’t hesitate to seek counsel from your public relations or communications team. A second opinion is never a bad thing when you’re unsure of something. Whether it has happened in your backyard or thousands of miles away, if it is an event or situation dominating the news and social channels, it is something to which you should pay attention. Sometimes being oblivious is more harmful than saying or doing the “wrong thing.” You may not feel comfortable putting out something publicly, such as a social media post, but you can acknowledge what is happening by halting your business-as-usual activity. Turn off auto-posts on your social channels, delay sending out a monthly customer marketing email or pull commercials set to air in the days following. Not only is this a respectful way to approach a difficult situation, you are potentially avoiding the awkwardness of tweets or messages of self-promotion colliding with the news stories and somber tone. There are many ways to help – from sharing messages of support, offering financial assistance or providing a free service, you can chose what method best fits you or your company. The key is to help for the greater good and not necessarily for the exposure. People are perceptive and will see through any effort that appears to be inauthentic or self-serving. Done well and with heart, any assistance will be appreciated and recognized in due time. Also, don't forget your employees are likely suffering or struggling to process a tragedy. Offer to provide counseling resources, allow flexibility with schedules, encourage a moment of silence or share ways they can help victims – through donations, prayers or personal resources. Employees will appreciate you’ve acknowledged the event and have done the due diligence to provide options for the most useful ways they can participate in helping others – one of the best ways to manage through grief or fear. Instead of posting a tailored message, join in by sharing or engaging with other’s posts. You can do this by using a hashtag or modeling what you see other businesses doing that you feel is appropriate and useful. In times like these, sometimes it is best to join in, rather than seek attention with a clever image or poignant message. It’s become too easy for critical and negative people to pick apart what others say and do especially in the wake of a terrible event. Often, these same folks seek attention by turning tragedy into an opportunity to spread their own political or religious messages or to create unnecessary drama and stress. This is probably their way of dealing with the trauma themselves, but it serves no useful purpose. The best advice is to move away from negative conversations and messages. Ignore them. Terrible things happen every day – in our communities, to those we work with and do business with, and across our nation and world. When we react with empathy and direct our focus to healing, we support the positive and push the negative and the fear down where it belongs. Sometimes we feel a need to solve or fix a problem and we do so by inserting ourselves in ways that aren’t helpful. History has shown us that when a tragic event happens, the need for help extends well past the time media spotlights dim. There is no need to rush into something – take the time to assess and plan a meaningful effort. Finally, others may suggest you promote what you’re doing – to get credit and to be hailed as a hero. While we pride ourselves on making our clients the heroes of their own stories, there is a time and a place for being proactive in telling that story. If it doesn’t feel appropriate, it likely isn’t. Do what feels right, do it with authenticity and do so without needing something in return. Be a comforter. Be a helper. The world needs more of both. 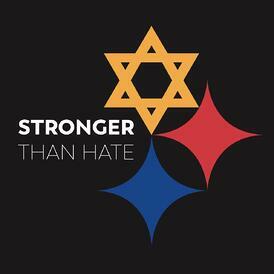 Click here for a list of resources and ways to help in Pittsburgh. The seatbelt sign is off. Your tray table is down. You’re settled in for a two-hour flight to Chicago. What’re you going to do once you land? 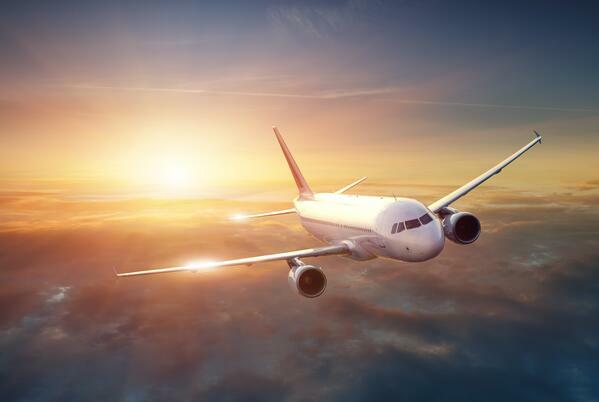 You can pay the extra charge to connect to the airplane’s Wi-Fi and look up restaurants, museums, sporting events and anything else you can dream up. Or you can pick up the in-flight magazine (with real paper pages and everything!) and flip to an article on the Windy City. It might describe the best tourist spots in the town, a few secret hideaways only a local would know about, the finest place to feast on a deep-dish pizza and even dole out a bit of history. By the time you hit the runway, you might as well be a denizen of the Midwest metropolis. And all of this knowledge is tucked away in the seatback right in front of you, offering useful information while building the value of the air carrier taking you to your destination. It’s a great marketing tool. This magazine, after all, is a piece of brand journalism. 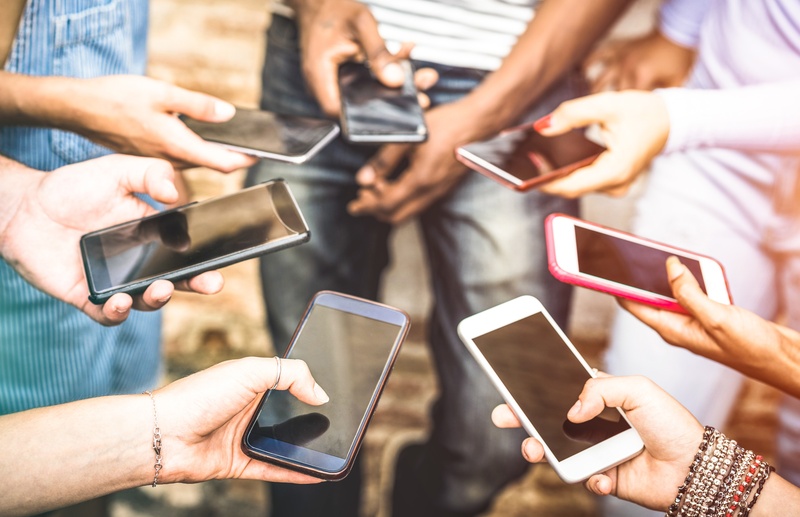 Yes, the term that’s all the rage in communications today – and the position that old newshounds are flocking to in droves – isn’t something all that new. Brand journalism may not have been dubbed so decades ago, but the general concept has been floating around for years. And there is plenty to learn about the practice from the decades-old model of in-flight magazines. Pan American World Airways, or Pan Am, was once the undisputed champion of commercial aviation. The long-defunct, pioneering carrier published the world’s first in-flight magazine, “Clipper Travel,” in 1952, naming it after the Boeing aircraft of the same name. Your best bet for finding a “Clipper” now is at an antique store, but more than 250 of its successors are still published today. Those magazines don’t have any subscribers in the traditional sense, and though we live at a time when print media is losing the war to digital content, physical in-flight magazines still reach hundreds of millions of travelers each year – there’s one in every seatback, after all. That scope is even greater today, since, naturally, in-flight magazines have online editions. Part of the reason they stay viable is they’re a prime spot for advertising, and why wouldn’t they be? According to travel media company Ink, 74 percent of travelers read a magazine on the plane. The most effective magazines aren’t simply selling goods, though there is ample room for that. Instead, they establish the carriers as experts in all aspects of their industry while entertaining and informing passengers. Gripes about air travel are standard practice for fliers, but there remains an appeal to the journey. In mere hours, you can be transported to your favorite vacation destination or a city you’ve never visited. In-flight magazines take advantage of that exciting notion, with engaging, well-written articles about traveling, business, entertainment and lifestyle. In the September 2018 issue of “Delta Sky,” author Noami Tomky penned “Crossing the Pacific with a Pacifier,” a personal tale about how her traveling life has changed – and notably, hasn’t ended – since becoming a new mother. The piece reads almost like something you’d find on a blog about motherhood and speaks to plenty of parents who are in a similar situation. There’s absolutely no selling going on, beyond Delta Air Lines subtly branding itself as a carrier that understands its passengers. The August issue of “Southwest Magazine” includes the feature “Why Franchises Can Work for Any Generation,” an informative business story with an appeal to a wide age range. Business stories are often part of in-flight magazines because a significant percentage of travelers are on work trips, and frequent fliers tend to have more personal wealth. Knowing your audience and catering your content to it is key to any form of marketing, let alone brand journalism. United’s “Hemispheres” has a recurring feature, “Three Perfect Days.” In each edition, the authors give engrossing, first-person accounts of three-day trips to cities around the world. These range from far-flung world capitals, such as Beijing, to American cities you might not always consider a vacation destination, such as Houston. It’s hard to read one of these colorful diaries and not want to book another trip once you land. A well-rounded in-flight magazine isn’t the only marketing tool in an airline’s arsenal, but they’re useful in creating an identity for the carrier and conveying that to the passenger. Next time you’re on a flight, flip through those pages and look for some brand journalism inspiration – and good luck finding one with an unfinished crossword puzzle. At WordWrite Communications, we believe a successful brand journalism strategy can help you tell your authentic business story. Learn more about why stories matter to your business by clicking here. 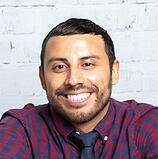 Dan Stefano is a brand journalist at WordWrite Communications. You can reach him at dan.stefano@wordwritepr.com. Trustworthiness. Is this something you can really rate and measure? According to Facebook, yes. The Washington Post recently reported on the social giant’s new rating system, designed to predict user’s trustworthiness on a scale of zero to 1. What does this actually mean though? In an era of fake news and rampant misinformation, Facebook has been under pressure to fix its broken system – a system many believe to be responsible for Russian interference in the 2016 Presidential election. Facebook has implemented a few process-checks to help, including verifying the authenticity of users who post certain kinds of content and now, ranking credibility. For the past few years, users have been able to report something as being “false,” which meant it would be forwarded to a third-party fact-checker. This system, of course, relies on the trustworthiness of those doing the reporting and as such, Facebook has had to look at alternatives to combat those who report something because they don’t personally agree with it. So, how do you actually assess the trustworthiness of that user? Naturally, Facebook won’t reveal its secret algorithms, however, one signal they use is based on how much that particular user interacts with an article that has been confirmed to be false. It’s unclear how exactly the rating system scores individuals and how that rating factors into future shared content. What is clear is that despite technology controls, people will be people – some good, some bad. Some who are out to cause harm and others who work to make the world better. The “bad actors” who try to game the system through coordinated manipulation have certainly made it more challenging for those seeking to advocate for meaningful social or political causes. From bills focused on health care reform to increasing flight options to Cuba, successful advocacy campaigns make a positive difference in the lives of many people. One noteworthy example includes United Airlines’ bid to provide air service to Cuba. They employed a grassroots campaign using paid, earned and owned communication strategies, that launched with a website: UnitedtoCuba.com. The result? The Department of Transportation awarded United Airlines one of the first contracts to provide non-stop air service to Havana, Cuba. At WordWrite, we also work on a number of similar grassroots, social campaigns on behalf of our clients. We’ve gone through the lengthy approval process to become verified and continue to follow all changes at Facebook that will impact our work for clients. While these adjustments and requirements can be confusing and frustrating, they are necessary to ensure accuracy and to reduce the spread of harmful misinformation. 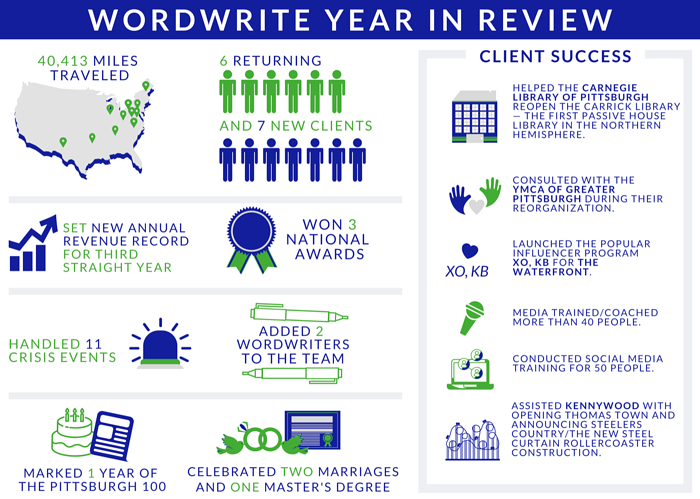 One of our core values at WordWrite is that we are authentic storytellers who are good stewards of our client’s time and money. The reality is that tools, like Facebook, are there for everyone to use. It’s simply a matter of who is using them. 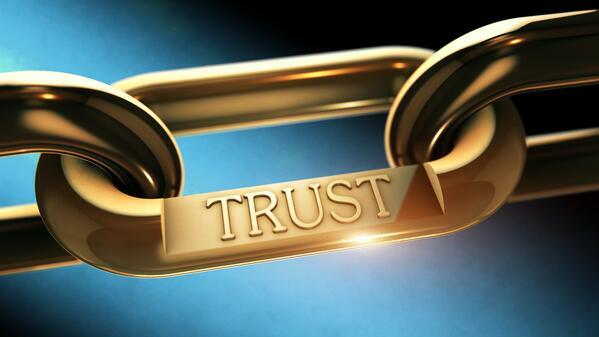 Trust is paramount in communications. Only time will tell if Facebook is successful in their approach to rating trustworthiness…but at least it’s a step in the right direction. Prominent social media corporate executives recently appeared before Congress to once again answer questions about their platforms’ content and editorial oversight. Congressional inquiries typically are as much about political theater as they are about true public discourse, yet the motivation for these hearings is righteous and revolves around a growing danger. This ongoing probe goes to the heart of serious questions about the reach, influence and even potential regulation of “new” media and its rapidly growing influence of how we perceive and engage the world in which we live. On the heels of Russian government intrusion that placed content and propaganda across various social media platforms during the 2016 Presidential election, U.S. leaders have had to move quickly to understand the scope of what happened and assess how it can be prevented in the future. The growing list of questions posed to these social media corporate executives goes to the heart of what their companies aimed to be in the first place. Upon their inception, Facebook, Instagram, Twitter, etc. sought to provide information portals that digitally linked us to share virtually any form of human communication. From day one, they were decidedly free-form and constructed without any regard for the type, style, accuracy, benefit or consequences of the content shared on the platforms. This raised a number of questions about editorial standards, content suitability and liability, which culminated in the Russia disaster. At the same time, we in the world of public relations and strategic communications consulting immediately dove headlong into dissecting and understanding these channels and how we may leverage them for professional and client benefit as soon as they were created. The platforms soon made the same calculations for themselves by offering a wide range of data and content services that rapidly monetized their operations and led users to greatly compromise how much privacy protection they relinquished as a social media user. Until now our industry has remained focused on the benefits offered by these platforms and have seldom questioned some of the bigger issues drawing public and political attention. For our industry’s benefit this might need to end – and soon. Politics or not, the questions posed by Congress are legitimate and reflective of real public concern. The answers are critical with potentially long-range consequences. Imagine what might be if the gloss of social media starts to dim in the wake of concerns about privacy, fictitious content or other issues? Will users continue to engage one another on such platforms? Will their credibility plummet as we collectively decide much of social media is just a digitized National Enquirer or endless TMZ? To what degree will companies and clients – especially in the B2B space – want to distribute their messages on discredited platforms? And what as an industry will we do if the unparalleled audience micro-targeting of shrewd social media management can’t be used any more in the wake of all these concerns? To where will we turn to find alternative solutions to get the job done in the way our customers demand and the markets dictate? The way our industry first embraced and then evolved with social media was until now a sea of endless new discovery. Solutions to old problems were abundant as we rushed to learn, leverage and profit from this windfall. It’s no wonder that each day we might have thought that as practitioners our growing mastery of social media was like a daily gift of a dozen roses. But those roses also have thorns and they have grown to the point where ignoring them is no longer possible. 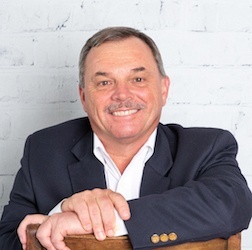 John Durante is marketing services director at WordWrite Communications. He can be reached at john.durante@wordwritepr.com.